As a new franchisor, what franchise fees can you expect to collect? Franchising and business law attorneys get this question all the time — aspiring franchisors want to know about their potential profits. However, since every franchise system is different, no easy, one-size-fits-all answer exists. That said, we can give you an overview of the types of fees most franchisees pay. New franchisees must make an up-front, one-time payment to join a franchise system. The amount is determined by the franchisor, so it can vary from company to company. In most cases, initial franchise fees are fairly large, ranging from several thousand up to several hundred thousand dollars. Well-known businesses generally come in on the higher end of the scale. The initial fee is usually due when the franchise agreement is signed. Often, a franchisor requires at least a portion to be paid in cash, then allows the franchisee to finance the remainder over time, with interest. Franchisees also make ongoing royalty payments to their franchisor. On a periodic basis — typically weekly, monthly or quarterly — these franchise fees must be paid in order to remain in business. Royalty fees are most commonly calculated as a fixed percentage of gross sales. But a franchisor can also consider variations on the fee structure. For some franchise systems, using a variable, decreasing or increasing percentage of sales may make sense. A franchisor can also decide to charge a fixed royalty fee or to base continuing fees on cumulative average sales. Franchisees are also expected to make regular contributions toward the common advertising and marketing fund. Usually, payments are scheduled at the same frequency as the royalty fees. The franchisor uses this money to create materials that promote business for the entire franchise system. Technically speaking, these contributions aren’t actually franchise fees. But as ongoing payments made to a franchisor, they can be considered a form of revenue. Every franchisor needs to consider the continuing services they provide to franchisees. While some training and franchisor support is covered by the initial franchise fee, certain services can be provided on an a la carte basis. Continuing education, additional field or management support and other extra services can often be treated as one-time user fees for franchisees. When a franchisor can calculate the cost of a specific transaction, event or service, the franchise fee can be charged separately. Establishing fair fees in franchising can be a challenge. Consulting with an experienced attorney is the best course of action for future franchisor success. The professional team at the Franchise & Business Law Group in Salt Lake City, Utah, can help. For personalized, expert answers to all of your franchisor questions, contact us today. This entry was posted in Blog on September 14, 2017 by Kara Martin. FDD vs. 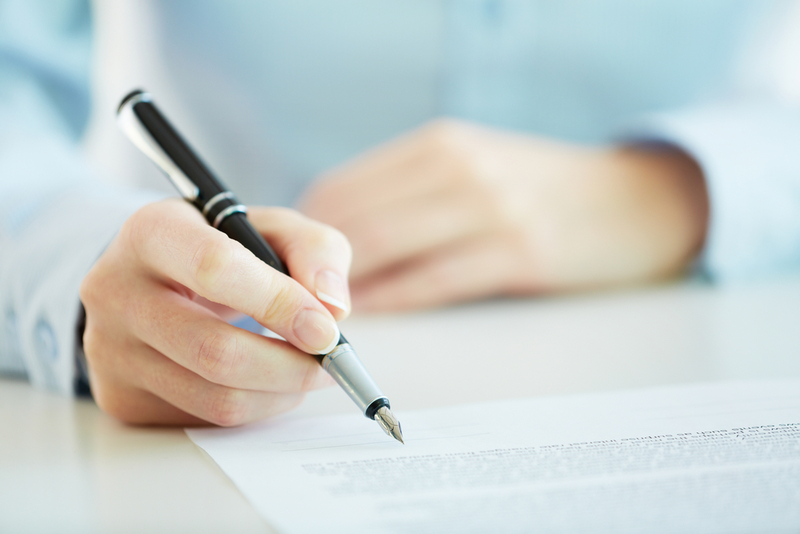 Franchise Agreement: What Is the Difference? The franchise agreement and the franchise disclosure document (FDD) are frequent sources of confusion for many first-time franchisors and prospective franchisees. Each of these documents plays a critical role in the franchising process, and it is important to understand their terms and purposes. Consulting with an experienced franchise and business law attorney is the best way to understand everything you need to know about these important documents. But learning about them first on your own is helpful, too. The FDD, or franchise disclosure document, contains comprehensive details about your company. In fact, this document should contain all the information that would be of interest to a potential franchisee. The Federal Trade Commission (FTC) requires every franchisor to disclose 23 specific items in the FDD. This lengthy document (most are hundreds of pages long) offers franchisees a clear picture of the company. Presented to interested franchisees, the purpose of the FDD is to allow a thorough review of the risks and benefits of investing in a particular company. The FDD is not a contract, however, and it does not create a business relationship between a franchisor and a franchisee. Unlike the FDD, the franchise agreement is a legally binding document. Once signed by both the franchisor and franchisee, a business relationship is officially created. This document, a sample version of which is included in the FDD, sets forth the franchisor’s requirements from a franchisee while operating the franchise business. While the details in the FDD may change from year to year and as the company grows, the franchise agreement typically remains unchanged. This ensures that all franchisees are treated fairly and impartially. Think of your FDD as a prospectus or pre-sale disclosure document for your franchise system. The document must comply with the law and meet FTC disclosure requirements, and it must be written clearly and concisely. When written by a professional franchise attorney, a well-composed FDD is easily understood by potential franchisees. It may even help serve as a sales tool. In addition, the specific information in your FDD can help minimize the risk of future legal claims against your company. An experienced attorney can draft the document with the appropriate language and information that protects you from future litigation. Like the FDD, the franchise agreement should also be drafted by a knowledgeable attorney. This is a legal contract between you and your franchisee(s), and it outlines the legal obligations of both parties. As such, the document needs an expert eye to protect the future of your franchise system. The attorneys and legal team at the Franchise & Business Law Group can help with all your franchisor legal paperwork. For assistance with your FDD and franchise agreement, contact our Salt Lake City, Utah, office today to schedule a consultation. This entry was posted in Blog on June 13, 2017 by Kara Martin.